Sivom is an Intercommunal Syndicate that mutualizes the means and the knowledge of its members to help them realise environmental projects they wouldn’t have been able to do alone. 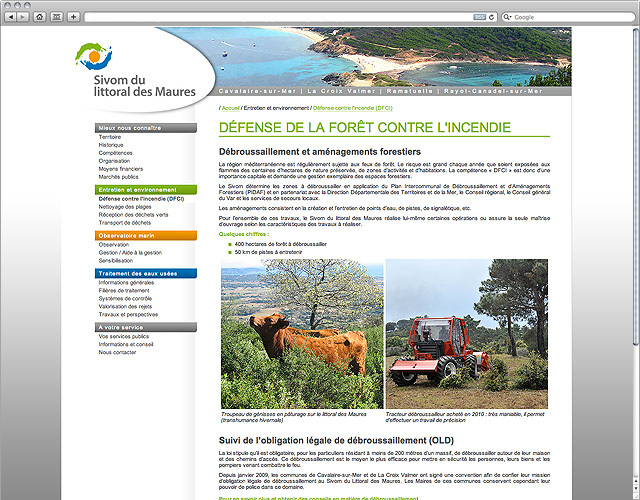 Informational and promotional website from the SIVOM of the Maures Coast. 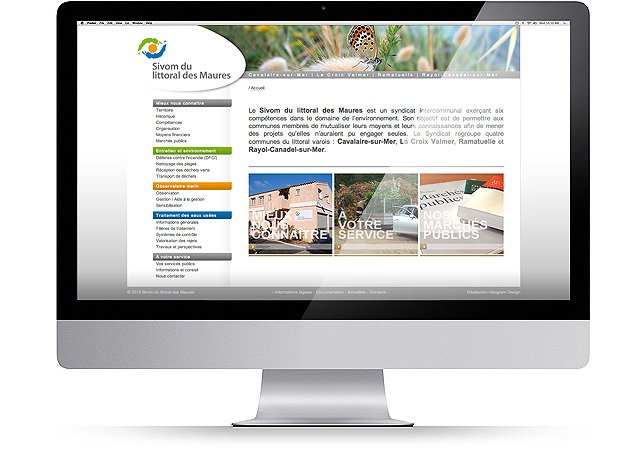 It gives total freedom to the website administrators when they want to insert and highlight the content. 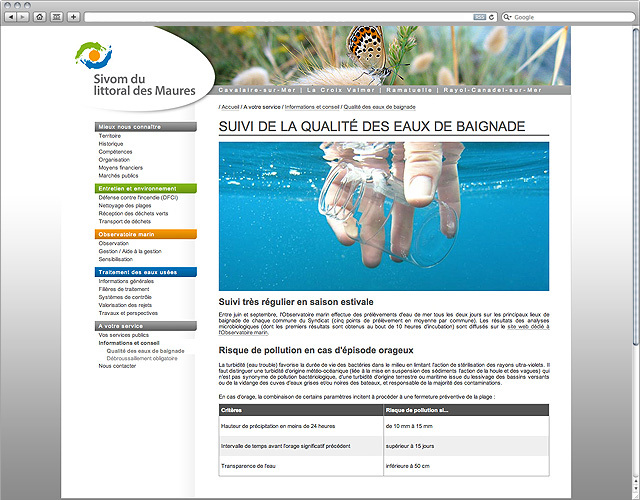 The content is coloured automatically according to the selection.